Despite asking for a five percent increase in state funding, Pitt could receive the same amount of money as it did during the 2016-2017 fiscal year. Pennsylvania Gov. 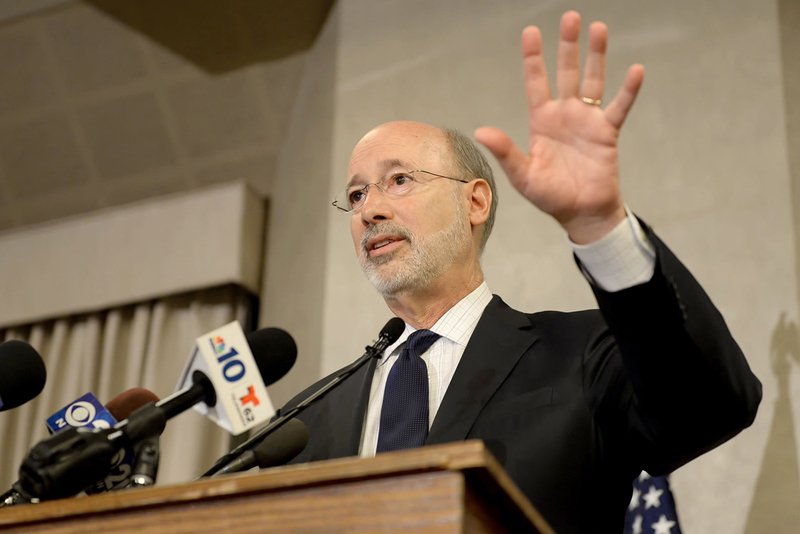 Tom Wolf’s $32 billion 2018 fiscal year budget includes increasing state educational support at all levels by $209 million, but Pitt’s portion of that money will remain the same. In his budget remarks on Feb. 7, he proposed a nearly $200 million increase for early education, special education and basic education funding, plus an $8.9 million increase for the 14 Pennsylvania State System of Higher Education universities, including Pitt. Despite the increase in funds to education, Pitt is slated to receive about $147 million from the state, according to the governor’s proposed budget. This is $7 million less than the $154 million the University requested on Sept. 30 in its annual budget request to the Department of Education. In a statement accompanying the budget request, Chancellor Gallagher said the funds would be used to expand Pitt’s innovation programs, offset operating expenses and manage tuition increases for in-state students. J.J. Abbott, Wolf’s press secretary, said Wolf has made past efforts to increase the school’s state appropriation. “The governor fought to increase Pitt’s state funding the last two years to recover from cuts made under the last administration,” Abbott said in an email. Pennsylvania’s other state-related schools — Penn State, Temple and Lincoln — are also not expected to receive additional state funding. Penn State requested $25.3 million increase from the state for a total of $350.5 million in support. In addition, voluntary advocates from the University will plead on behalf of the University March 21 at the annual Pitt Day in Harrisburg, an annual event to tell state lawmakers why Pitt needs their support. This means Pitt could still receive the $154 million it initially requested for the 2018 fiscal year. Although the University might not get the increase in funding that it’s requesting, a flat fund is still better than the budget cuts Gallagher was planning for in December. “A state cut is something we’re actually going to have to contemplate,” Gallagher said at the University’s Senate Council meeting on Dec. 14. According to the University’s 2016 cost containment page, Pitt has made cost-cutting efforts in the past by moving the College of General Studies administration into the School of Arts and Sciences, redesigning the University’s post-retirement medical benefits program and electronically distributing departmental budget reports, student bills and paychecks. The General Assembly must finalize a state budget before July 1 — the start of the new fiscal year. Until then, the University will have to wait to find out if they will need to take other financial measures to further reduce costs. “It will probably be at least June before the University has a sense of the probable range of amounts for the FY [fiscal year] 2018 appropriation,” Arthur G. Ramicone, senior vice chancellor chief financial officer, said in a January email.